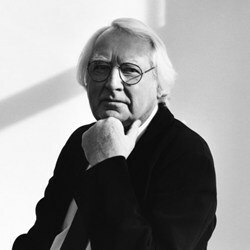 Richard Meier received his architectural training at Cornell University and established his own office in New York in 1963. His practice has included major civic commissions in the United States, Europe, and Asia, including courthouses and city halls, museums, corporate headquarters, and housing and private residences. Among his most well-known projects are The Getty Center in Los Angeles; the Jubilee Church in Rome, Italy; the High Museum of Art in Atlanta, Georgia; Perry and Charles Street Condominiums in New York, New York; the Canal+ Television Headquarters in Paris, France; and the Museum of Contemporary Art in Barcelona, Spain. In 1984, Mr. Meier was awarded the Pritzker Prize for Architecture, considered the field’s highest honor. In the same year, he was selected architect for the prestigious commission to design The Getty Center in Los Angeles, which was opened to popular and critical acclaim in December 1997. Among the projects recently completed by Richard Meier & Partners are the Arp Museum in Germany; the OCT Shenzhen Clubhouse in China; the Broad Art Center at UCLA; the Italcementi i.lab in Italy; the United States Federal Courthouse in San Diego, California; and Weill Hall, the Life Sciences Technology Building at Cornell University in Ithaca, New York. Projects currently under construction include the Leblon Offices in Rio de Janeiro, Brazil; a hotel complex in Jesolo, Italy; a residential tower in Tel Aviv, Israel; a resort in South Korea; two residential towers in Tokyo, Japan; Phase 1 of a Master Plan for downtown Newark, New Jersey; and residences in Bodrum, Turkey. In 1997, Richard Meier received the AIA Gold Medal, the highest award from the American Institute of Architects, and, in the same year, the Praemium Imperiale from the Japanese government in recognition of lifetime achievement in the arts. He is a Fellow of the Royal Institute of British Architects and the American Institute of Architects, and he received a Medal of Honor from the New York Chapter of the AIA in 1980 and a Gold Medal from the Los Angeles Chapter in 1998. His numerous awards include thirty National AIA Honor Awards and over fifty regional AIA Design Awards. In 1989, Richard Meier received the Royal Gold Medal from the Royal Institute of British Architects. In 1992, the French Government honored him as a Commander of Arts and Letters, and in 1995 he was elected Fellow to the American Academy of Arts and Sciences. In 2011 Richard Meier received the AIANY President’s Award and the Sidney Strauss Award from the New York Society of Architects. He is a member of the Board of Trustees of the Cooper-Hewitt Museum, the American Academy in Rome and the American Academy of Arts and Letters from which he received the Gold Medal for Architecture in 2008. He has received honorary degrees from the University of Naples, New Jersey Institute of Technology, The New School for Social Research, Pratt Institute, the University of Bucharest, and North Carolina State University.